Alcoholism, like any addiction, is a brutal disease that can leave you broken and hopeless. But it is also something that, with the right help, can be overcome. Recovery is not an easy process, but the reward for all of that effort is a newfound appreciation for life. Alcoholism can be insidious in how it affects not only the life of the alcoholic, but the lives of their friends and family. Sometimes an alcoholic can function for years without anyone realizing just how pervasive their illness has become not only because they may be actively hiding their addiction, but also because even in the twenty-first century, the majority of the American populace remains ignorant of the signs, symptoms, and dangers of alcoholism. 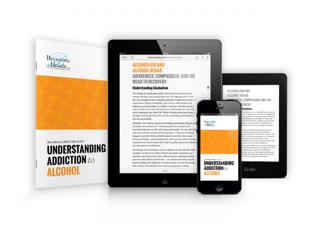 In this free ebook, you will find detailed information on the perils of alcohol addiction, as well as advice and recommendations on how to select the best medically supervised treatment options. Download the ebook now to find out how to end you or a loved one’s struggle with addiction.